You’d love to get more rest—if only you didn’t have so many deadlines at work this week, forcing you to go in early and stay up late. And sure, a nap would be great—if you didn’t have a newborn that needed to be fed. What about some meditation? Hm, might be possible if you weren’t hosting the in-laws, studying for your nursing test, caring for an older relative, or…well, you get the idea. 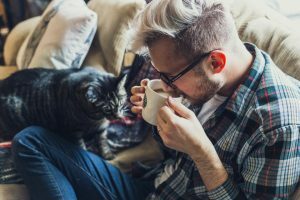 No matter who you are or what type of lifestyle you’re leading, chances are you have a lot of legitimate obstacles standing between you and some much-needed rest. 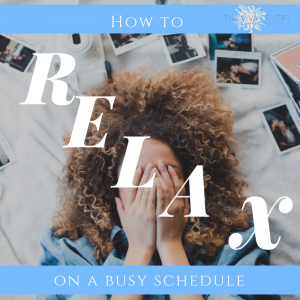 Here are some tips that can help you relax, even when you’re on a tight schedule. Try taking a walk on your lunch break, or taking ten minutes to stretch after crossing a goal off of your to-do list. These physical activities will stimulate the release of endorphins, which serve both as natural painkillers and sleep aids. If you’re not worried about judgmental coworkers, you can even try some of these “deskercises,” like book lifts, chair squats, and office yoga. Science says that you’ll feel more energized as a result. Note that while regular exercise improves the quality and duration of your sleep, it can also have a stimulant effect. For this reason, sites like Positive Health Wellness suggest that you avoid exercising right before bed. The saying goes, “if you want it done right, do it yourself.” But there’s only so much any one person can take on; studies indicate that taking control over too many tasks can actually lead to more errors, since our brain only has a limited capacity for holding information. In those instances, it can be helpful to call for backup. Struggling at work? Maybe a coworker can provide you with some guidance, or even take a task off of your hands (if they have wiggle room, of course). Sick of planning all the family outings? Talk to your relatives about the problem and ask if they can pick the restaurant for your next family dinner. Some services, like childcare and housekeeping, can be purchased if you have the financial means, or if money is tight, you can ask a friend or relative for help. If you’re concerned about feeling like you owe them, offer to do something for them in return—for example, next time you make dinner, you can make a serving for them too so they don’t have to cook. Health coach Jill Ginsberg suggests that you use the following technique to figure out which activities to outsource. “Delegate the stuff you hate doing or are terrible at doing and focus on what you do best.” If you’re trading favors with a friend, you might offer to do something that they hate but you enjoy in exchange for help with something that you dislike but they do with ease. For example, if you like to clean when you’re stressed but hate doing math, offer to clean a friend’s kitchen if they’ll help you balance your books. It’s tempting to use social media as a way of “relaxing” in between tasks, but studies indicate that social media use can actually increase stress and anxiety, leaving us more frazzled than ever. This is less surprising when you think about all the controversial political conversations you might see on Facebook, or the pictures of your friends on vacation that you might scroll past while you’re stuck in the office. It’s almost cliche to cite meditation as a way of resting your body and mind, but that’s because it works so well. In addition to reducing stress, meditation can actually change your brain, enhancing your sensory abilities and strengthening the frontal cortex, which controls working memory and executive decision making. That makes it a great way to both wind down from work and to recharge before jumping back in. For free meditations, check out these exercises from UCLA Health (in English or Spanish). There are also tons of great meditation podcasts and apps, like Headspace, that can help you center yourself on the go. If you’re looking for more intensive meditation sessions, consider meeting with a therapist who specializes in mindfulness and meditation practices. 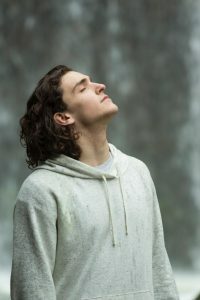 They can guide you through meditations that are more focused on your unique situation, and help you achieve mindfulness in your everyday life. 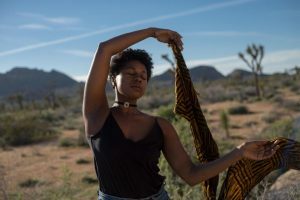 It can be hard to take breaks when it feels like our to-do lists are never ending, so actually scheduling in self-care the way we would schedule a meeting or a chore can help us remember to prioritize our emotional health. Try picking a specific time of the day when it would be helpful for you to relax. Use this time to recharge your brain by watching a funny video, doing a few yoga poses, or taking a much needed nap! Research shows that taking mental breaks replenishes our attention, improves our memory, and enhances our creativity. Got any rest and relaxation tips you’d like to share? Connect with us on social media, or email us at lilly@vivapartnership.com. We value your feedback.